Calling entrepreneurs ready to grow! Are you a small business owner based in Cape Town? Are you involved in the operations side but are you struggling to think strategically about your business growth? Is your annual turnover of less than R2mil? 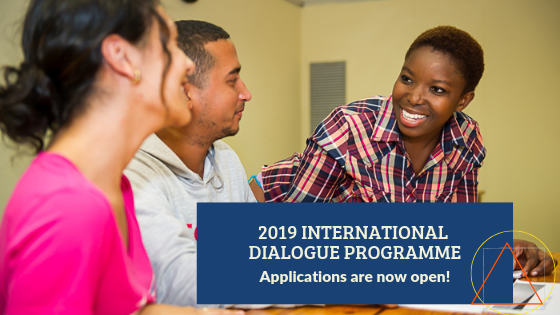 Applications for the 2019 International Entrepreneurship Dialogue are now open! 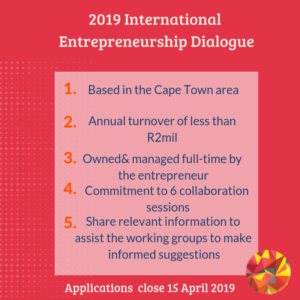 Established in 2007 through the cooperation between Northeastern University (USA) and TSIBA Business School (RSA), the International Entrepreneurship Dialogue is a great opportunity for entrepreneurs who are ready to take their business or startups to the next level but lack time or skills to think strategically. The project has empowered over 300 businesses to date, and it is scheduled to take place from the 15th- 26th July 2019 at TSIBA Campus. 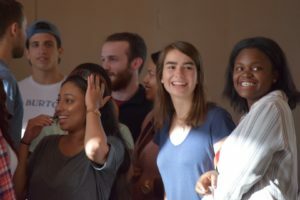 As part of their Entrepreneurship Curriculum, TSIBA & Northeastern University students work in groups by consulting to Local Entrepreneurs on their pressing business challenges; through communication, teamwork and business acumen, the group identifies the business problem and write recommendations to be implemented, under thorough supervision of the Academic team. Entrepreneurs are supported by applying different skills to solving their most pressing hurdles for growth. In 2015, Yandisa Langa was working as a security guard at Noordhoek Village when he noticed a shortage of fresh vegetable at restaurants in the area. He saw the gap to produce tomatoes locally and supply them to those eateries such as Food Lovers, The Food Barn, Easy Big, and Café Roux. That’s how Langa’s Mountain Tomatoes was born. 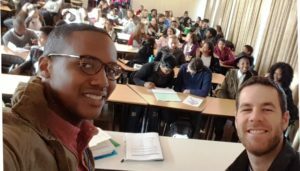 In 2017, he was selected to participate in the International Entrepreneurship Dialogue and students assisted him in creating a bookkeeping system that it is still in use. “When you work with students and you are open about your difficulties, they will find a gap and help you”, tells Yandisa, who in the same year was awarded the first prize at YouthStartCT. If you are based in Cape Town and eligible to participate, apply online now! Closing date for applications is 15 April 2019.